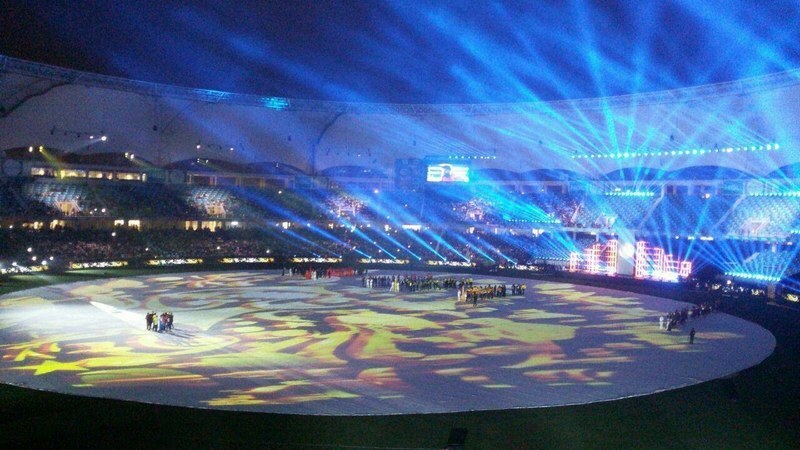 The 2018 Pakistan Super League (PSL) kicked off on Thursday with a glitzy opening ceremony at the Dubai International Cricket Stadium. Following a countdown to the big launch, the event officially began with the national anthem of Pakistan. Moments later, Ali Zafar took the centre stage and entertained the crowd with a PSL-special rendition of his famous track, Rockstar. Hareem Fatima and Bilal Ashraf spoke briefly but soon made way for master presenter Ramiz Raja, who introduced the league’s expansion franchise: the Multan Sultans. The Sultans were followed by Islamabad United and the Karachi Kings. The Lahore Qalandars and reigning champions Peshawar Zalmi didn’t take long in joining their rivals in the middle. The tradition in sports is for the champions to be introduced last but the organisers, for some reason, reserved that honour for the two-time finalists: the Quetta Gladiators. PCB Chairman Najam Sethi also addressed the crowd, saying: “A sixth member of the PSL family has joined us this year. Last year, 24 matches happened, this year there will be 34. The PSL is a national asset and we need to safeguard it. “We are honoured to work with the PCB and help with a platform that could launch the careers of many young cricketers,” added HBL COO Sagheer Mufti. The first performer of the night was the legendary Sufi singer: Abida Parween. Once her set was over it was pop star Shehzad Roy’s turn to entertain the audience. Hareem and Bilal then introduced US pop star Jason Derulo, which drew loud cheers from the crowd. The American crooner started off with a lesser known number before tearing into his famous track: Swalla, which has over a billion views on YouTube. Last but definitely not the least on the list was Ali Zafar again, who presented his official PSL anthem: Dil Se Jaan Laga De (Put your heart in it). Fireworks around the stadium marked the end of the PSL 2018 opening ceremony, which means the stage is now set for the teams and the cricketers to take over. The Pakistan Cricket Board (PCB) had invited a glut of Pakistani and international superstars to perform at the event. Launched in 2016 after years of deliberation, the PSL is an annual T20 league which sees six city-based franchises fight amongst each other for the title. While there exist several such leagues in the world of cricket, the PSL is arguably unique in the sense that none of its rivals mean as much to their respective countries as the PSL does to Pakistan. This is due to the PCB’s almost decade-long inability to hold a home series at home — a predicament that the PSL seems to be helping remedy bit by bit each year.